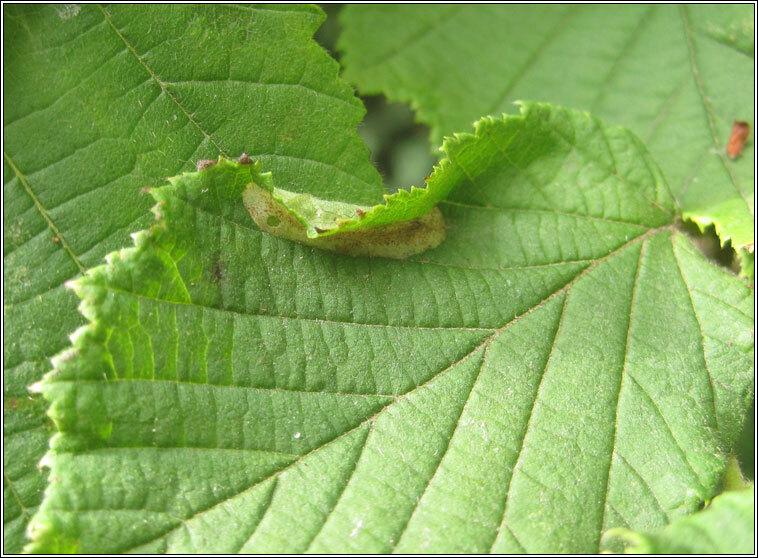 Leaf mine photographs on Hazel, Coryllus avellana. Upper surface mine over vein. 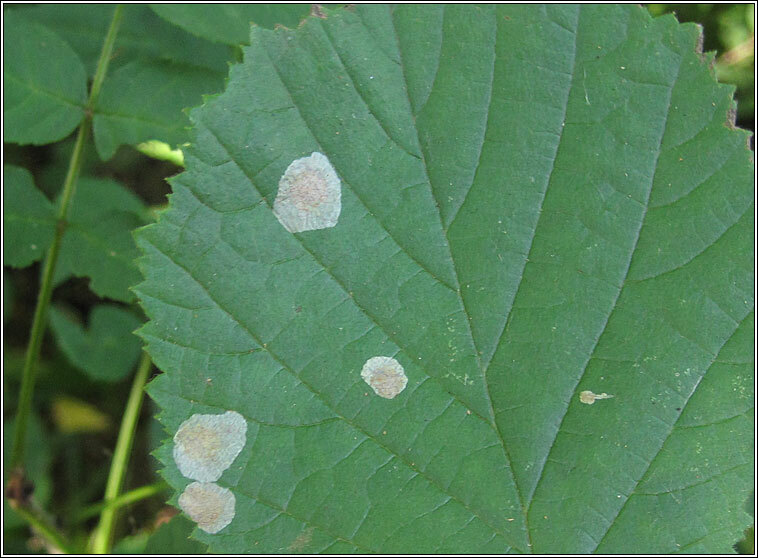 Initially appears as a flat, silvery blotch with brown speckles, then contracts, folding leaf upwards. 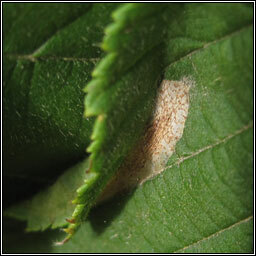 Frass in opposite corner to pupa. 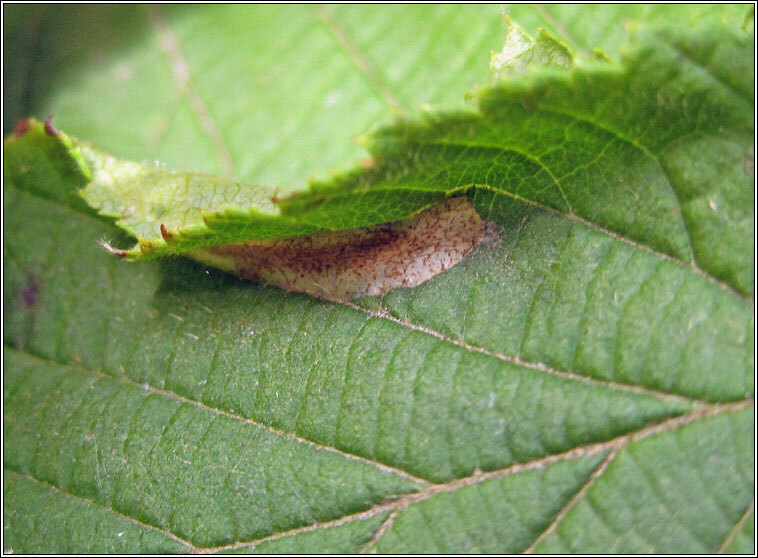 Can be several mines in each leaf.